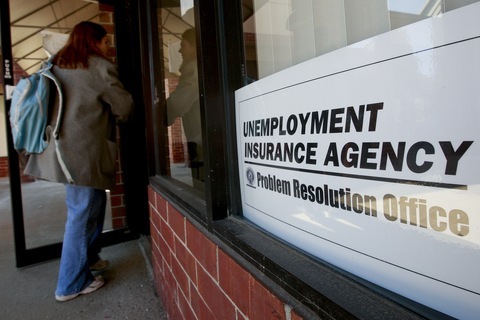 On Tuesday, Congress refused to further extended long-term unemployment benefits, keeping the cut-off at 99 weeks. That doesn’t mean the fight is over. Democrats continue to argue for more time, while Republicans say the country can’t afford it. But underlying that political left-right debate is a complicated question, when should the unemployed be able to find work more easily or, more succinctly, when does a recession become a recovery? And the answer, as viewed through Patchwork Nation, is it depends where you live. There have been marginal improvements across the board in the unemployment rate, but some communities are still struggling, some are rebounding and some never really got hit that hard to begin with. In other words, the back and forth in Congress may largely miss the point. There are some places in America where an extension is sorely needed and others where there might be a better argument for holding the line at 99 weeks. In three of Patchwork Nation’s county types – Minority Central, the Industrial Metropolis and Service Worker Centers – the unemployment rate is still above the national average of 9 percent. In Minority Central, it is actually close to 11 percent. Those counties, which have large numbers of poor and struggling families, usually experience higher than average unemployment. But after three years of trouble the struggles are especially acute. In Minority Central counties, places with large African American populations based primarily in the southeast, the unemployment rate has been above 10 percent for well over a year. In Edgecombe County, North Carolina, a Minority Central community Patchwork Nation visited earlier this year, the rate is 13.2 percent. Looking at other county types, there might be some optimism that at least the unemployment picture may soon be noticeably better. The wealthy Monied Burb counties now have an unemployment rate of about 8.2 percent and the Boom Town counties that saw explosive growth in the first half of the last decade are seeing the same numbers. That’s the lowest unemployment has been in either of those county types in well over a year. In rural, agricultural Tractor Country counties, meanwhile, the unemployment rate is a remarkably low 5.1 percent. But as Prof. Jim Gimpel and I note in “Our Patchwork Nation,” communities matter. The economic pictures of America’s communities vary greatly based on socio-economic and occupational factors. And ultimately living in a community where the unemployment rate is relatively low can benefit you even if you don’t have a lot of education or optimal skills training because those places have stronger local economies. People with more money comfortable about their job situation will likely spend more, creating more local jobs. What does that say about the unemployment extension? Well, looking at the most recent set of county unemployment numbers, it may well be that the economic tide is rising in those Monied Burbs and Boom Towns – where more than 120 million Americans live. And in the coming months, the relatively better times there may bleed into other communities as well, like the Service Worker Centers. But it seems early in the recovery cycle to consider that a certainty – for now. Judging from our data and conversations with our contacts, there will likely be large swaths of the country that will be struggling for quite some time. For those places “the recession” goes on. And maybe most important, as much better as unemployment seems now than it was a year ago – in the Burbs and Boom Towns and nationally – much of the relief people are feeling is relative. The national unemployment rate of 9 percent may look good compared to the 10.6 percent in January — but compare it to the last 20 years and it is still very high. Dante Chinni is the director of the Patchwork Nation project.